West Virginia lawmakers are currently tackling how to fix a budget deficit that is $92 million bigger than originally anticipated. As West Virginia MetroNews reported, a loss of tax revenue tied to falling oil prices led the state to anticipate a budgetary shortfall. However, the latest revenue updates from Gov. Earl Ray Tomblin show that the deficit is worse than what was forecasted just a few months ago. While January estimates placed the deficit at $354 million, the new forecast shows it now reaching $446 million. The discovery of the addition $92 million shortage is leading to an extended legislative session and a revision of the state’s fiscal year 2017 budget. Speaking with reporters, state Revenue Secretary Bob Kiss said the governor’s office would work closely with the legislature to address the shortfall, but balancing the budget will require hard compromises. According to West Virginia Public Broadcasting, Tomblin is addressing the deficit through a proposed combination of a new cellphone service tax, a 45-cent increase in the state’s cigarette tax and a 4 percent across-the-board spending cut. However, Tomblin may face an uphill battle getting legislative support for his plan. As WVPB noted, the state Senate was on board for a $1 increase in the cigarette tax and the 4 percent spending cut, but wanted to see a decrease in the coal severance tax. Meanwhile, the House has rejected all previous attempts to raise taxes and is advocating deeper spending cuts, in addition to dipping into the state’s Rainy Day Fund. The House has already approved its budget proposal, which calls for taking $30 million from the Rainy Day Fund, as well as $70 million from accounts held by various state agencies. However, Kiss told reporters the governor’s administration is hesitant to mend the deficit with one-time solutions and no long-term plan for spending reductions. “One-time monies along with a plan, over some reasonable period of time to accomplish structural stability, is very different than, ‘we’re using one-time monies, we’re out of town and [the 2017 budget] is all right now,'” Kiss said. One of the first spending areas that will be affected by budgetary cuts is the state’s health care program. As reported by the Associated Press, the state’s Public Employee Insurance Agency finance board has already approved $120 million in cuts to its health plan that provides coverage to around 230,000 state employees and retirees. The cut had initially been proposed in December but was tabled after Tomblin advocated using the higher tobacco tax to fund the state health plan. However, this proposal was defeated in the House. Cuts to the health care plan will likely result in higher premiums and co-pays. “It’s obvious that the Powers That Be think state employees have a job and they should be happy with that, with its low pay and now its not-so-great benefits,” PEIA board member Mike Smith told reporters. West Virginia lawmakers have only a small window remaining to balance the budget, which by law must be passed by July 1. 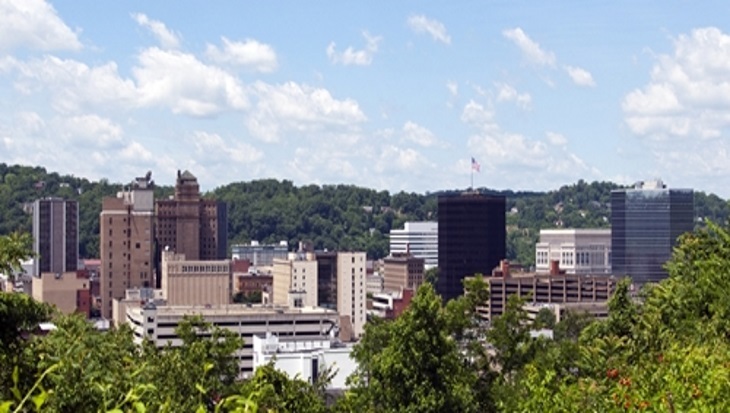 As MetroNews commentator Hoppy Kercheval noted, West Virginia is not the only state facing budgetary deficits due to declines in oil and gas revenue. Alaska is working to address a $3.5 billion budget deficit and recently had its bond rating lowered by Standard & Poor’s. Connecticut, Louisiana, North Dakota and Wyoming also say they saw lowered revenue related to struggling energy economies. Increasingly, state economies are tied to the global economy. This is especially true for states that rely heavily on revenue from the energy sector. In order to the adapt the ebb and flow of this complex industry, states need powerful tools capable of analyzing budget data and forecasting for multiple future scenarios. Questica’s budget software delivers an all-encompassing solution for public-sector budgeting. With Questica’s suite of tools, state governments can replace inaccurate and inefficient spreadsheets with a streamlined, comprehensive and real-time budgeting platform. Through its Operating and Capital budget platforms, Questica offers a web-based system for financial forecasting that can cover an unlimited number of years and test for multiple budget scenarios. With robust analytics, including the Salary/Position Planning and Performance platforms, lawmakers have greater insight into spending as well as how funding cuts affect the lives of state employees and citizens. State governments preparing their annual budget and weighing complex financial decisions should contact Questica to learn how flexible budgeting software can aid in establishing the path to future financial balance.